IT'S THE political fight nobody expected. 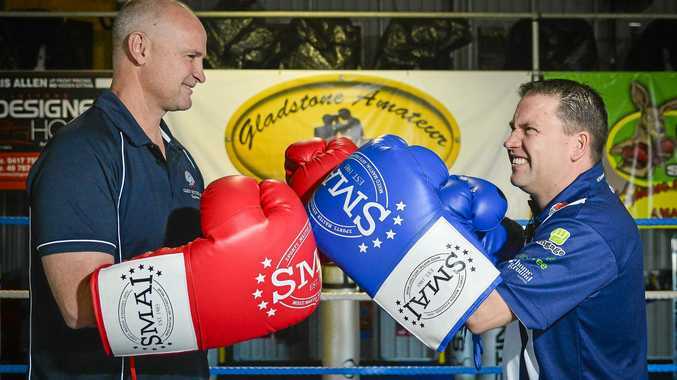 This Saturday night, Member for Gladstone Glenn Butcher and Mayor Matt Burnett will be stepping into the boxing ring at Daly's Gym and going three rounds with each other for charity. Champion coach Mick Daly said he was delighted when the two politicians agreed to accept the challenge. "It's the highlight of a day of fund-raising for brain cancer survivors Bella Bates and Olivia Hancock," he said. "Originally I wanted Glenn to fight his twin brother Police Sergeant Wayne Butcher, but unfortunately Wayne's working next Saturday night. "I couldn't get hold of Chris Trevor either and was starting to think it wasn't going to happen." 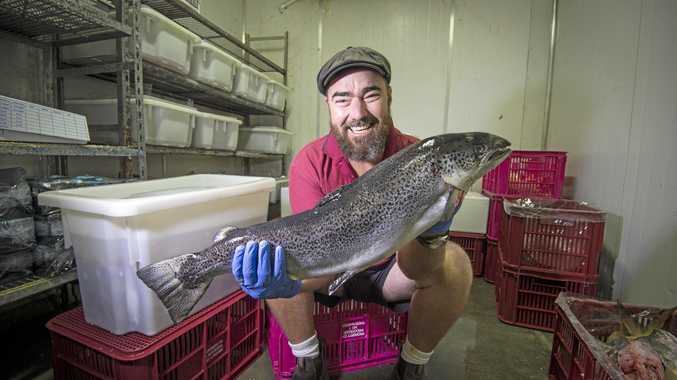 "Fortunately, Mayor Matt Burnett answered his phone and said yes; eventually." Olivia and Bella, both three-years-old, have spent half their lives fighting aggressive forms of brain cancer. The money raised will go towards helping them and their families. 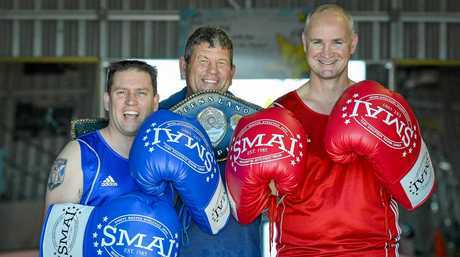 Mayor Burnett admitted he wasn't keen to jump in the ring with Mr Butcher at first. "When I was asked to fight Butch my first response was no, no, no, pick someone else," he said. "But when Mick told me who we would be raising money for I immediately agreed to do it." Mr Butcher said he was eager to have to join in the fun as well. "When Mick rang up and told me this year's charity ride and celebrity match was for Bella and Olivia I said let's get Matty to come along," he said. The fight will be taking place at Daly's Gym, 24 Moura Crescent Barney Point at 7pm on Saturday 22. Entry is free and drinks and food will be available to purchase. For more details including information about contestant profiles, raffle prizes and auction items see tomorrow's Observer.